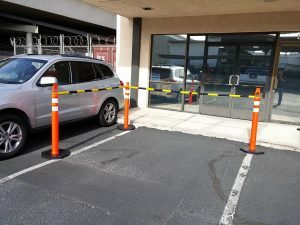 Boulevard Supply offers a more flexible solution for pedestrian and event barricade rentals for events in Las Vegas. 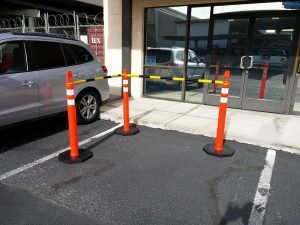 We will provide you with portable loop top and knob top delineators along with telescoping traffic cone bars. Two sizes of cone bars are available allowing you to erect a quick barricade that expands from a minimum of 4′ post to post to a maximum of 10′ post to post depending on which telescoping bar you are using. 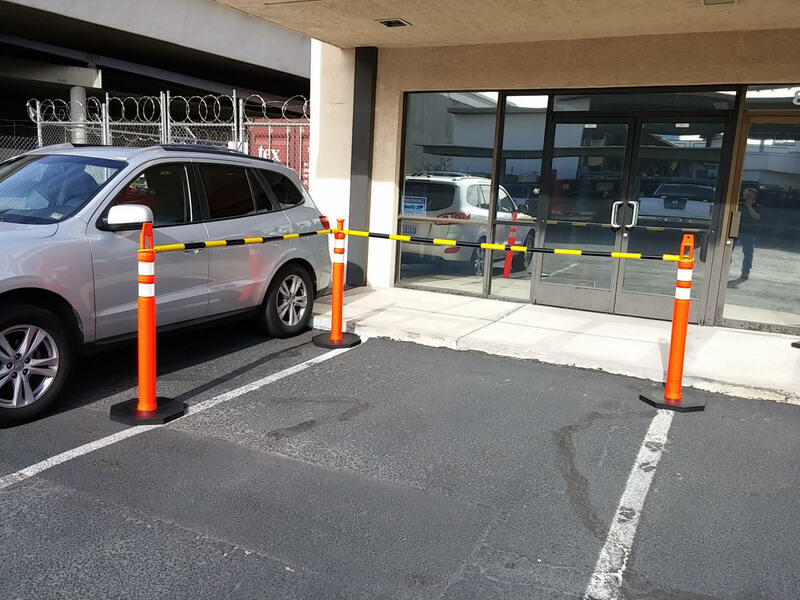 When the retractable/extendable cone bar is used with our 48″ delineators, the bar will create a horizontal line barrier approximately 41″ above the ground surface. The retractable cone bars can also be used with 18″, 28″ and 36″ traffic cones if another height of line barrier is desired. LOCATION: Do you need delivery or will you be picking up and dropping off? 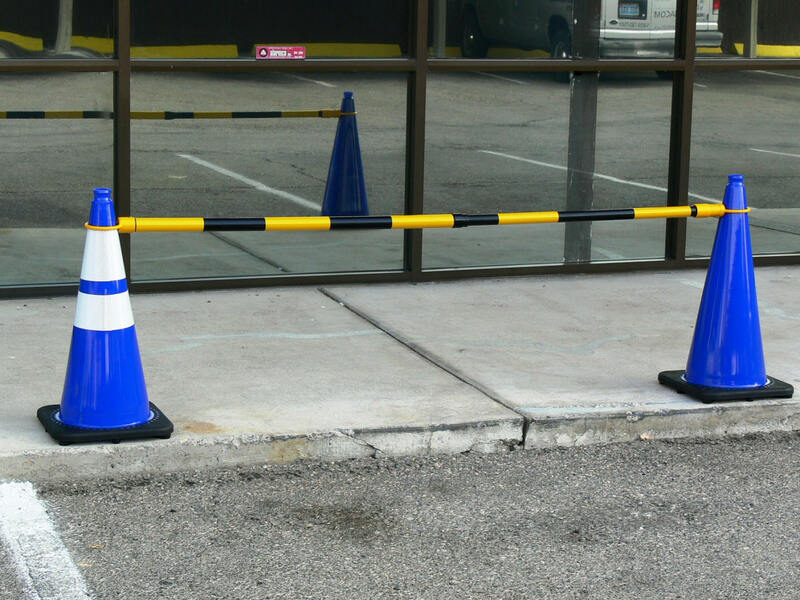 Boulevard Supply offers sales of crowd control barricades. 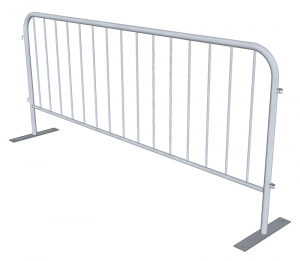 If you host multiple events and rent crowd control barriers for each event, you may be better off purchasing your own barricades and a barricade cart. They take up less space than you think when properly stored and are easy to set up.